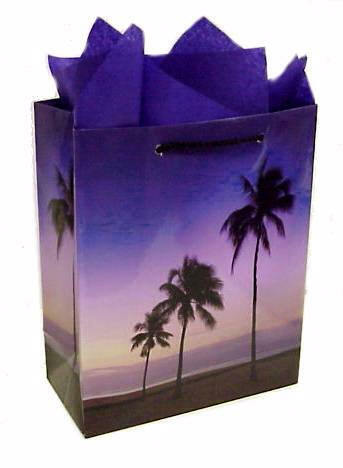 Let our designers fill our palm tree gift bags with an assortment of snacks to help you set the tone and welcome your special event guests. Contents range from gourmet cookies, dried fruit and nut mix, snacks, Florida made chocolate shells or alligators and hard candy seashells. All designs finished with cellophane and a hand tied bow.